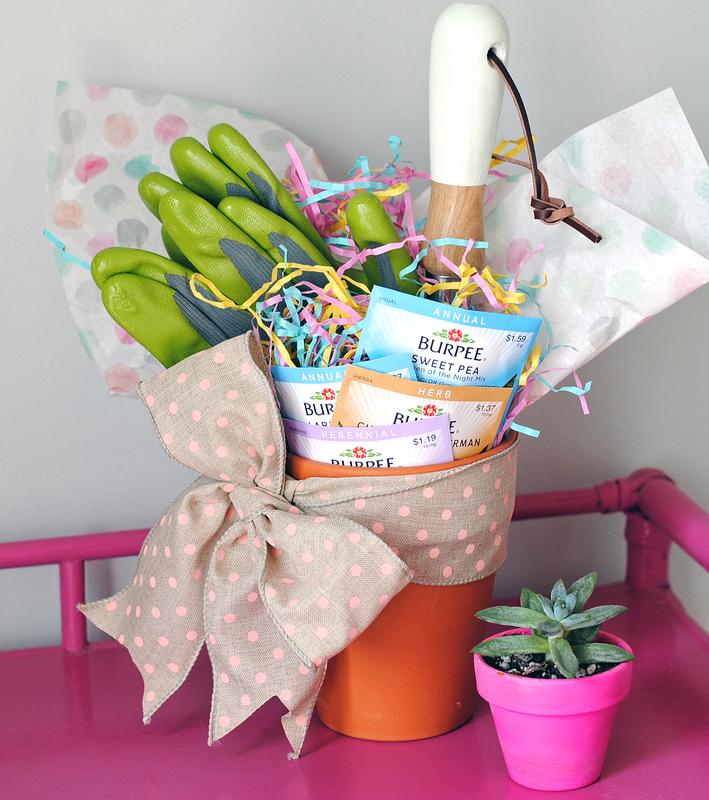 Don’t worry Mom, there are no gift spoilers in this blog post, just a simple DIY idea for a gardening-inspired Mother’s Day gift. We’ve been busy updating the yard and patio to get ready for enjoying our first summer at our house. It’s so exciting to have tons of outdoor space after living in the city for a decade. 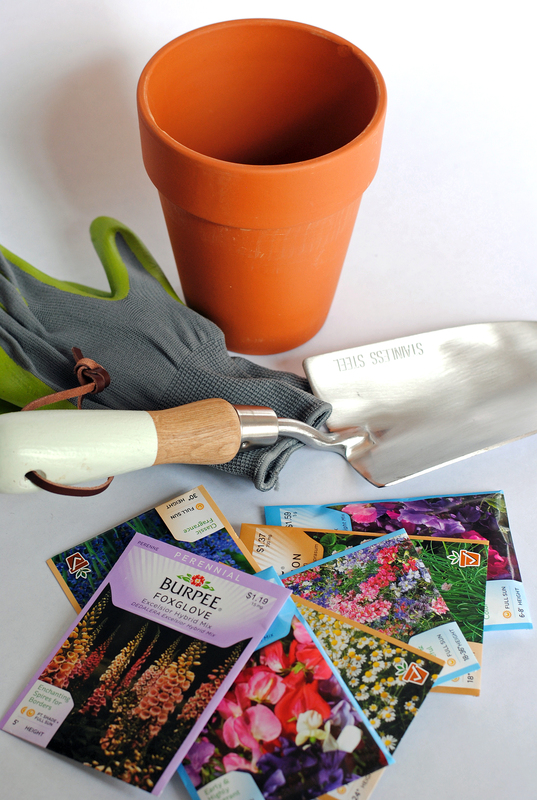 While I have a well-known penchant for killing even the most durable of plants, I have been wandering the outdoor living aisles at some of my favorite stores thinking about having a garden, and that’s exactly where this idea came from: a Mother’s Day gardening kit. 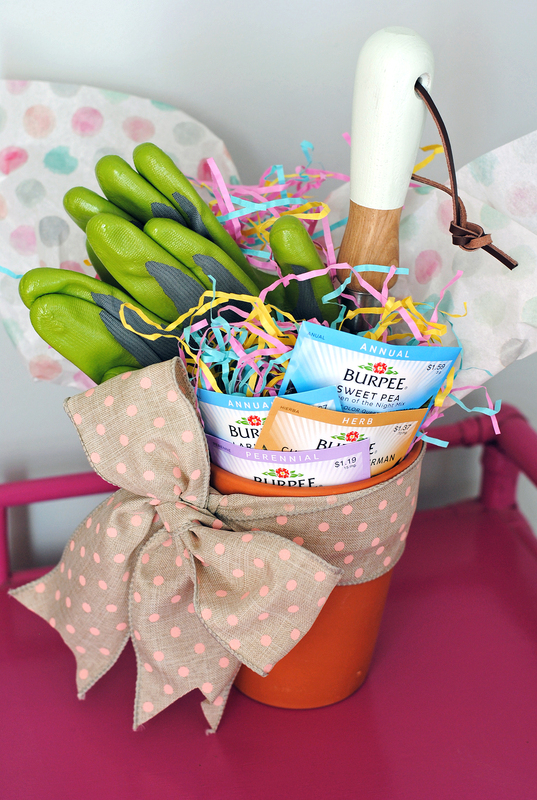 I started with a terra-cotta pot as the base, and filled it in with gardening tools, gloves, and herb and flower seeds; some tissue paper and an oversized burlap bow finish it off! I think this would be such a sweet gift to give your mom, grandma, or mother-in law along with a pretty plant or flowers for her garden. It takes about 5 minutes to assemble, and you can grab all of these items at Target or your favorite hardware store. What are you gifting mom this year for Mother’s Day? Mother’s Day Wrapping Paper. Kitchen Updates + Shelf Styling.